CAD MicroSolutions Inc., a leading provider of Industry 4.0 solutions in Canada, has become a Gold reseller of Virtalis’ Virtual Reality (VR) and advanced visualization solutions in Canada. Virtalis is a leading player in the VR market globally, with software and hardware solutions that are being leveraged by engineers all over the world to transform 3D CAD data into a virtual environment, facilitating collaboration and communication between designers, manufacturers, marketers, senior management and stakeholders. The addition of Virtalis’ VR solutions, including the ground-breaking Visionary Render software, completes CAD MicroSolutions’ portfolio of business solutions which address the full product lifecycle from conception through design, prototyping, visualization, simulation and production. 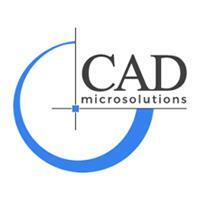 CAD MicroSolutions is headquartered in Toronto, Ontario and has been providing engineers, designers and manufacturers with 3D technology and training for the entire product development lifecycle for over 30 years. Canada has entered the fourth industrial revolution, according to the Global Industry 4.0 Report; digital technology is transforming the manufacturing industry, requiring manufacturers to be agile, innovative, and make informed investments to remain competitive in an exponentially growing market. Virtalis’ VR and advanced visualization solutions tap into this trend, allowing clients to digitize their assets and leverage the investments they’ve already made in 3D CAD design software. CAD MicroSolutions will provide consultation, sales and support for the Virtalis technology across Canada, and will host events and webinars to demonstrate the power of VR. These events will showcase the VR solutions, and the technology behind it, along with the full range of mechatronics tools CAD MicroSolutions carries, including the SOLIDWORKS design suite, HP’s Jet Fusion 3D printing solutions, Nano Dimension’s PCB 3D printer The DragonFly 2020, and Markforged 3D printing solutions. CAD MicroSolutions will host booth #1043 at the Canadian Manufacturing Technology Show from September 25-28, 2017, and will also be hosting several 2018 Launch Events around Ontario throughout October.